Pinkadots Elementary : Halloween Festivities...I've been BOOED! 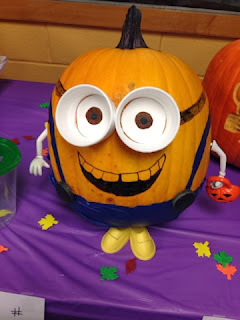 Are you able to celebrate Halloween in your school? 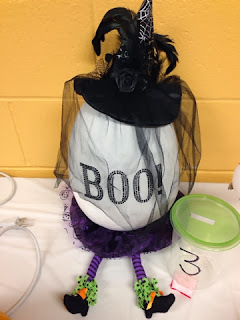 Today I am linking up with one of my blog buddies, Gary, aka ScrappyGuy, for his linky on celebrating Halloween in school. We have an awesome PTO at my school and they just held an after school pumpkin painting party for the students. There was a huge turn out. 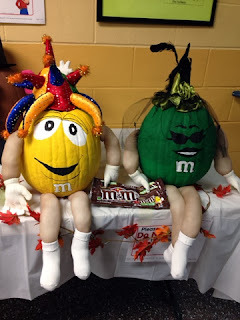 They also bought pumpkins for the teachers to "decorate" for a school wide contest. 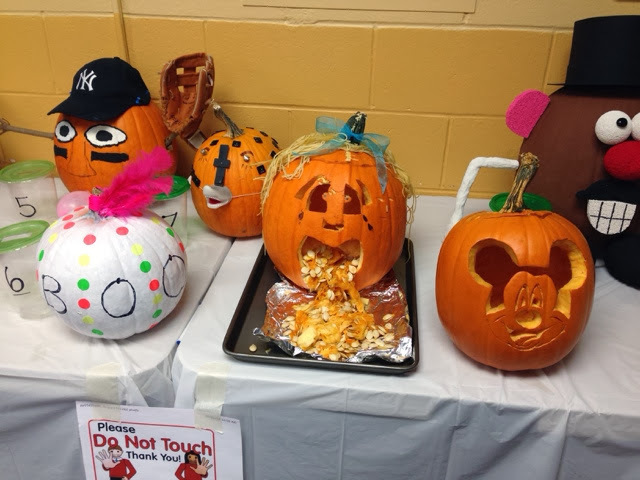 The pumpkins were due back to school on Monday and there was some serious competition! This a adorable minion came out to be the winner! The students all voted this afternoon and the winning teacher's class gets a prize. This is Robyn's white painted witch pumpkin! These were my favorite!!! How awesome are these m&m pumpkins!? This was my attempt! I will say it looks much better at night all lit up! 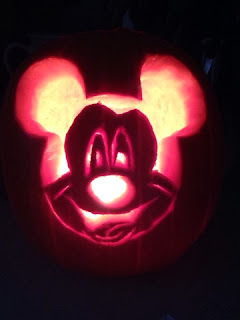 It took me forever to carve this thing too! At least my students were proud of me! See much better looking when it's lit up! 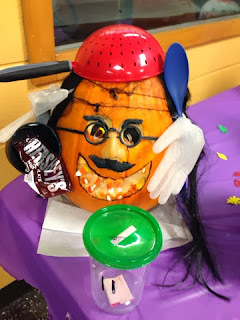 We have a very creative teacher staff! Can't wait to see what the prize turns out to be! Thursday we are having small Halloween parties in classrooms with treats and spooky parent read books. 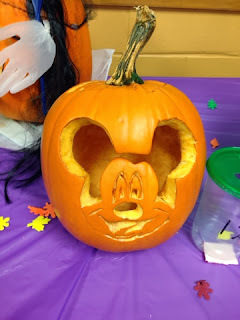 We are also doing some fun curriculum related Halloween activities and the students will be allowed to put on their costumes at the end of the day! A ton of the teachers are dressing up together! Stay tuned for pictures, I can't wait! I totally borrowed this idea from my BBB Joanne and I am THRILLED with the results! 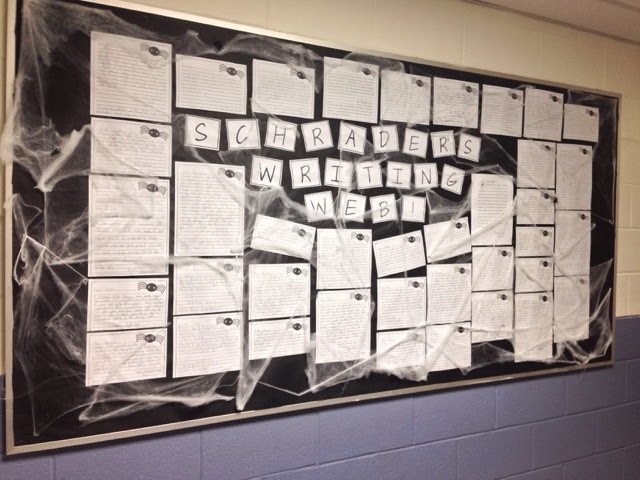 My NEW favorite bulletin board!! 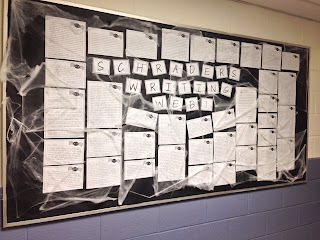 The students wrote from the perspective of a spider begging not to be crushed! Their writing was adorable and impressive! The temp is dropping down to the low 30's tonight here in CT! Brrrr! Those pumpkins came out so awesome! This might be something fun to suggest to my principal! 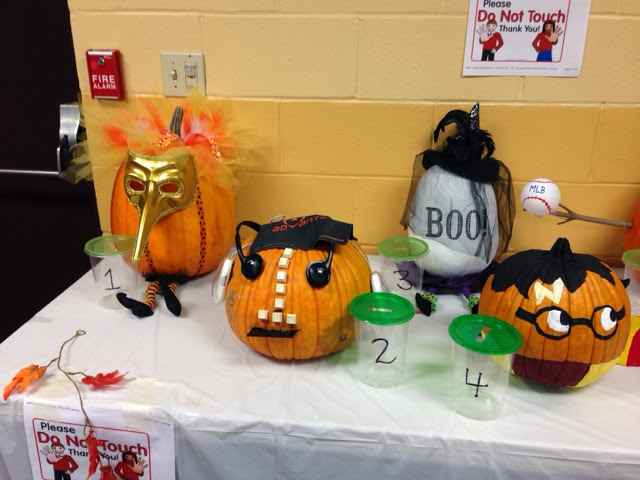 I love how creative all of the pumpkins are. My students are making a character pumpkin this week and I can't wait to see what they come up with. Those pumpkins are awesome. We have a lot of students making book characters using them (which they love). Thanks so much for sharing all of this!